The height adjusts from 4" to 5" and locks into place. Gliding design easily adjusts to different angles with non skid feet for stability. 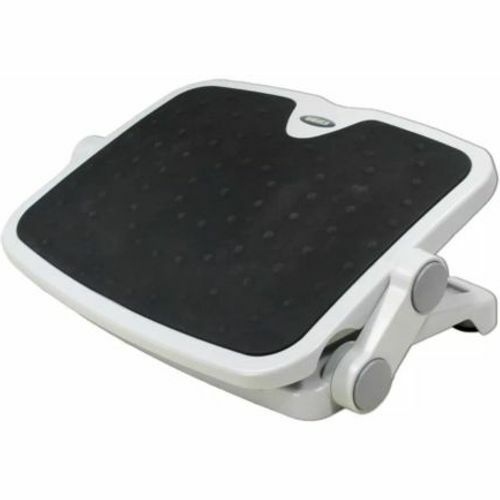 Large non-slip rubber platform (18" x 14").